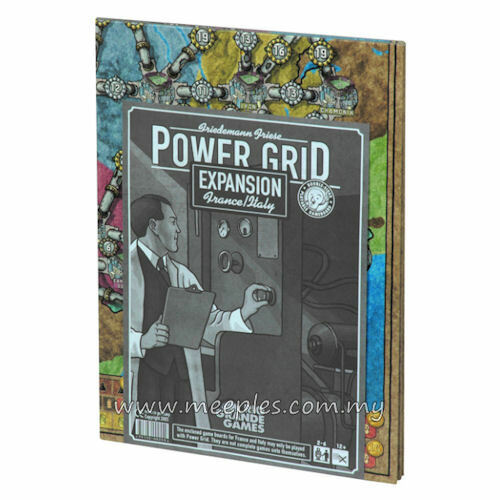 Two new maps for Power Grid: France on one side of the gameboard and Italy on the other. Along with the maps are small rule changes to reflect the power culture in these two countries. France, a land that has embraced nuclear power, has an earlier start with atomic plants and more uranium available. Italy has more waste, but fewer coal and oil resources. The result is not just new maps, but new ways to play this great game!